A well balanced and flavorsome black tea with character. Brings a clear black tea note perfect over ice. A basis for an endless variety of mixed recipes: juices, syrups, spirits and fresh fruits. Combines well with citrus fruit, exotic and berry flavors. 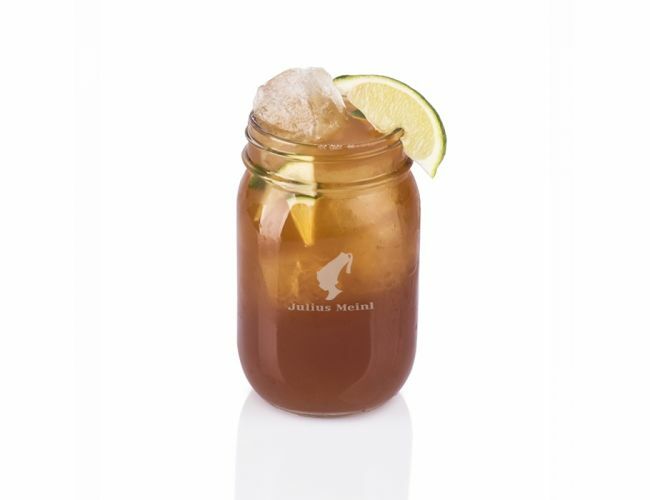 210 ml JM TEA on the ROCKS "Traditional Pure Black"
First mix lime syrup and lemon juice, then add gin and tea. Finally add tonic water and pour over ice.